I just finished “Three Martini Lunch” by Suzanne Randell. Devoured it in two days. A novel about the publishing world in the 1950s the is told in three voices. A well to do white man, an ambitious white woman, a closeted gay black man. I randomly came across this book at the library, browsing in the new releases section. The three voices in the story each come together to tell the story as a whole, each giving context and completing the picture. Since it is told in first person narrative, you hear the characters thought process on why they do what they do. The one character’s actions from afar seem terrible (and frankly are), but hearing his thought process, it almost justifies his actions. At least justifies it in his mind. From the perspective of each character, they do what they do that feels right to them. Everything can be looked at from many angles and be seen differently. Design is the same way. I was really thinking about this idea of perspective as I was finishing up the book. 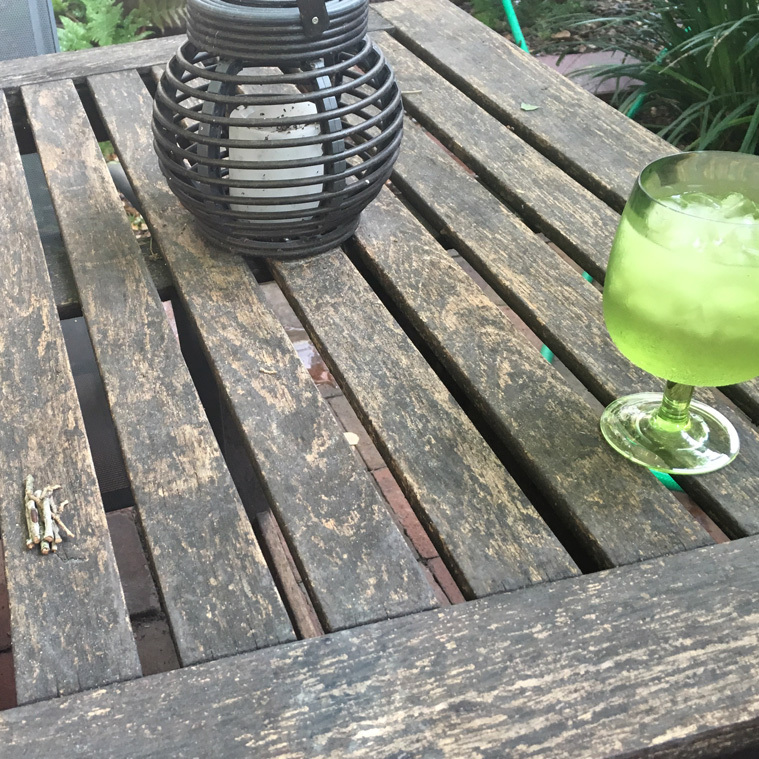 Sitting outside on the patio, I took a twig from the table and broke it into many small pieces (I have a habit of tearing napkins into pieces, snapping toothpicks, twisting paperclips when I am ruminating on an idea). 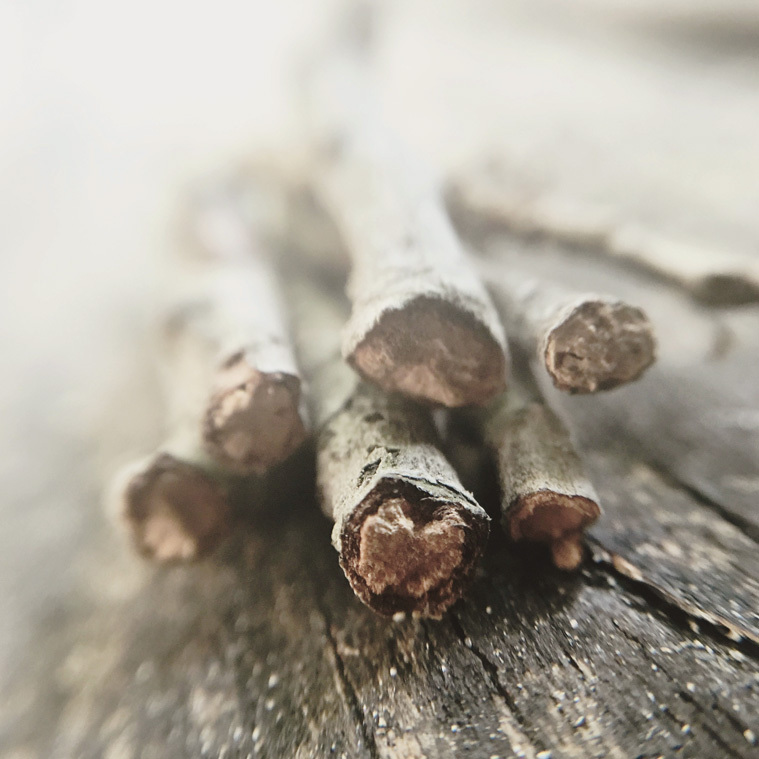 I formed the twigs into a little pile and thought if I got down low and close on these twigs, the end result would not look like these tiny twigs about a quarter of an inch thick, but something much grander. Below is the image I posted to Instagram, then the original image where the twig pile is in the left corner. Just by shifting the perspective of reality, I ended up with a beautiful image. Gone is the hose, the weathered table and rain soaked candle. In it’s place is an almost dreamlike image. I used a macro lens on my iphone to get the detail and the blur, then a filter on Instagram to shift the color. Good design should be like that. Let the viewer focus on what’s important, make it larger than life and beautiful at the same time.